Malnutrition in its various forms (kwashiorkor, beriberi, anemia, scurvy) is a major factor in the often high rates of infant mortality in West Africa. Many previous approaches that have attempted to address the problem of malnutrition have had a common, major drawback: the “solution” was dependent on imported goods and outside personnel, neither of which are sustainable over the long-term. Additionally, new foods are often very difficult to introduce in West Africa, and many seemingly exotic imported foods and other non-local nutrition supplements were not accepted by families and incorporated into their diets. Poor nutrition is a very important factor in children’s vulnerability to diseases. In the Ziguinchor region of southern Senegal, for example, nearly one in ten infants dies before the age of five from parasites, diarrhea, or malaria. But there just may be a local, sustainable solution to the problem of malnutrition and associated diseases that is within reach of everyone in the region… something indigenous and familiar to the people of Senegal, in particular… the Moringa tree! Moringa – The Key to Better Food and Nutrition and So Much More! The Moringa tree originated in India. It was brought to Africa by people from Asia who used it as a source of food and for medicinal purposes. The tree has many names. In English, it is known as the Ben Oil Tree; in Swahili as Mzunze or Mlonge; Malunggay in the Philippines; Benzolive in Haiti; Horseradish or Drumstick tree in India; Yoruba in Nigeria; and in Senegal, it is known as Nebeday, which is thought to mean “Never Die,” because the tree is extraordinarily hearty. The Moringa tree likes sunshine and can withstand drought conditions. It grows quickly from seed or cuttings, can reach a height of 12 feet within the first year, and regenerates itself even after the most severe pruning. Two harvests of seed pods can be produced in one year (a mature tree can produce 1,000 pods annually), and the Moringa leaves tend to appear toward the end of the dry season when few other sources of green leafy vegetables are available. The Moringa tree has many uses. The leaves and the young, green pods can be eaten like other vegetables. The leaves can be prepared similarly to spinach and are low in fats and carbohydrates, but contain a very high content of protein; calcium; minerals; iron; and vitamins A, B, and when raw, vitamin C. As a source of nutrients and vitamins, Moringa leaves rank among the best of perennial tropical vegetables. 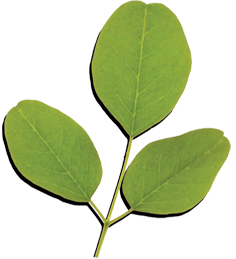 Eight ounces of fresh Moringa leaves contain the daily requirement of vitamin A for up to ten people. The addition of two raw Moringa leaves to a child’s daily food or mixing two or three teaspoons of dried Moringa leaf powder into sauces provides significant protection against vitamin, protein, and calcium deficiencies to children in high malnutrition risk areas. For both infants and nursing mothers, Moringa pods can be an important source of fiber, potassium, copper, iron, choline, vitamin C, and all the essential amino acids. Moringa flowers can be fried and are said to have the taste and texture of mushrooms. The flowers may also be used to make a tea that is useful for treating colds. Seeds in the green pods can be prepared in the same way as green peas, or they can be roasted and eaten like peanuts. The taste of young pods has been compared to asparagus. They can also be sliced up and cooked as a substitute for okra in some typical Senegalese recipes. When the pods turn brown, the seeds can be crushed to obtain a high-grade oil comparable to olive oil. The oil can be used for cooking, making soap, for burning in lamps, and for treating skin infections like scabies. A little coating of Moringa oil on the top of a water tank will also help kill mosquito larvae and thus reduce the threat of malaria and other deadly insect-borne diseases. The press cake left over from crushing seeds to obtain oil can be used as fertilizer, fuel for cooking, and to clear dirty water. Look up Exodus 15:23-27 for the earliest known reference to what is most likely Moringa being used to purify water (probably Moringa peregrina, another tree species in the same family that can be found today in Egypt and in Israel’s Rift Valley as far as the southern shore of the Dead Sea). No one expected Awa would survive. Not even her mother. Awa Diedhiou was two months premature when she was born. A very tiny baby, she weighed only 3 pounds, 5 ounces. Her mother, 22-year-old Maissata, also had problems. Moringa saved little Awa’s life! Increased consumption of Moringa leaves and pods by children and child-bearing women could completely eradicate malnutrition, especially since the tree produces its leaves toward the end of the dry season when few other sources of green leafy vegetables are available. Mrs. N’Deye Sakho is a nurse in charge of pediatrics at the hospital in Bignona, Senegal. She goes out herself to collect Moringa leaves and keeps dried leaf powder on hand to give out to mothers of malnourished children. This special report along with the photos was prepared by Lowell Fuglie, Church World Service, West Africa Representative.